World of Warships offers various discounts and benefits for Black Friday! Shame there was no new content like west virginia or even the tier 3 charleston. Selling existing ships only with a black skin as entirely new ships ........ No thanks. Alaska also nowhere to be seen so all i got out of black friday was a sense of dissapointment. So, if I buy let's say Black Massachusetts, I need to have the normal Massachusetts too, in order to get the 2500 gold, right? Stronk. Why would I want to buy the SAME ship twice? And by the way, I'm not buying tier 8 prem ships with the current broken matchmaking. Playing tier 8 is the biggest joke ever. Fix MM first, then sell tier 8 prem ships. This is meant as a form of discount for those players who already own the non black version of a black ship. Most likely to get them to buy the same ship twice. Especially the lack of conversion bonus leaves a sour taste AFTER you announced how you will pull Musashi and Krohnstadt from the Arsenal. Sooo - I'm not the only one that thinks these are not cheap, right? There is nothing that I am even tempted to buy. What?! Not even the 540 EUR Armada pack? I mean, it's over 50% discount and you get a flag! But honestly now, I wonder how many people are going to even consider buying that one... It's a freakin' big whaleship. 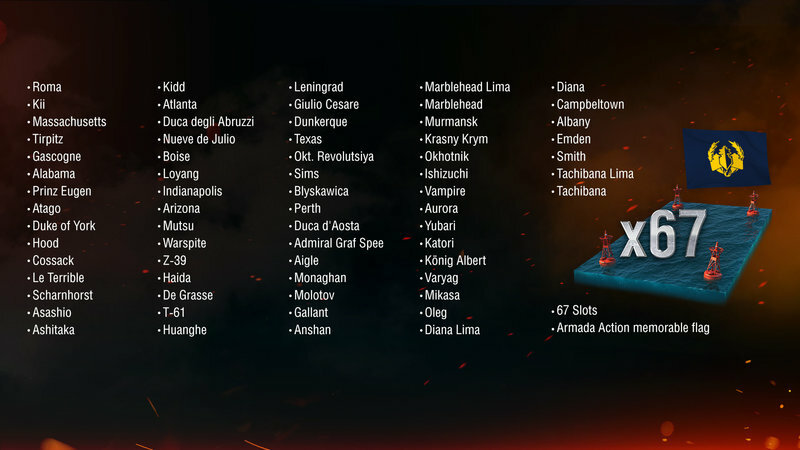 Well, bear in mind WG is closing their fail project Total War Arena... They need ca$$$h. Just log in to the game and check it. There’s a discount(!) to conversion of free xp. 35/1 instead of 25/1. Just check it. So you can have Musashi and/or Khronshtadt. Wot did the same thing and i think it did not go over well there either but hey why not try again and see if this time its going to work. Also keep in mind that the likes of MrConway and Crysantos are not the ones who make those decisions they are more the messengers who have to tell their bosses what the commoners are saying and according to the saying may or may not get shot over it. 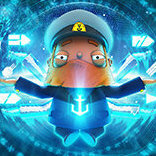 I am a whale in the gaming sense i spend a lot of money on wows and i am very dissapointed with WG right now i wish they would share more information on when they plan on releasing new premium ships and for what currency. If star citizen can publish a roadmap click me for roadmap of star citizen then WG can do as well. I mean MrConway or Crysantos tell me will Alaska be able to buy for free XP ? if so i can get the Salem for coal right now and have a new ship to play with for the weekend. When customers are literally not spending money or in-game resources because they lack the information to comfortably do so then WG is losing out. I'm thinking of buying the Armada collection. Why not that's a great price. 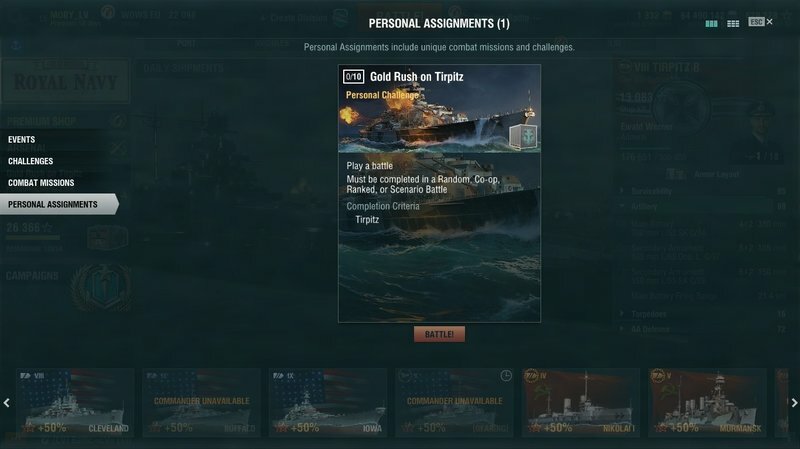 I would like to know though if the Belfast is in that collection as the article says almost all premium ships. I would like to see if there is a list of the ships within that collection. Have i missed that or is there a list of what ships have been left out. Thank you for the confirmation. Will probably leave it then. Also no Kamikaze R as well. If I'm paying that money I would like to have seen some of the more interesting ships. Will definitely pass on this now. I have to say it looks more like an idiot tax than a great deal especially "The Large Armada Bundle" this can be yours for a mere £487.66 reduced from £1,149.80........... LOL, do they think we've all just come down with the last drop of rain? They are 2 separate ships, so you'll have 2 Massachusetts's, one normal with the blue/grey camo, and one completely black. You can do the mission for 10x250 doubloons by playing the regular Massa, and that's it. They are 2 separate ships, so you'll have 2 Massachusetts's, one normal with the blue/grey camo, and one completely black. That is as intended yes. Well, WG certainly meets the spirit of the day - it's all about commerce, after all. Well, I don't really need any black versions of other ships. The Armada bundle is a fantastic offer (compared to buying single ships) - but still ridiculously expensive. And sure, I would get maybe 150k doubloons and another roughly thirty ships - I have no idea what to do with all those doubloons and most of the ships I probably wouldn't play more than once if at all. So nuffin' for me, thanks. There are many good ships in this package too. Tirpitz, Cossack, Atago, Gascogne, Scharnhorst - just to name a few of the higher tier ones. But more than two thirds of the ships are in a really bad state in terms of combat capability and only of collectors "value". I think, maybe this package is most attractive for guys willing to drop 500 EUR on WOWs, having most of the crap stuff already and wanting to get most of the Tier 8 ships and some doubloons for a reduced price. But this needs to be calculated individually.